It’s a new week and for the UK, that means the latest sales charts courtesy of Gfk Chart-Track. 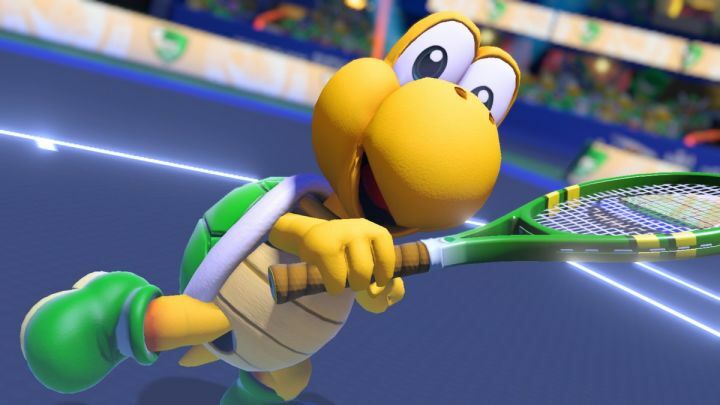 In terms of physical sales, Mario Tennis Aces for Switch (which debuted on June 22nd) is the top selling game for the week. Whether it’s the brand recognition or being a new Switch exclusive, the tennis title has come in huge for Nintendo. God of War has been seeing a fantastic run since launch, spending a number of weeks in the top spot. However, it fell to third place for this week while FIFA 18 managed to stay firmly in second. Mario Kart 8 Deluxe rose to fourth place while Super Mario Odyssey went up to ninth. It’s a pretty successful week for Nintendo overall. Fallout 4 is still doing fairly well despite dropping from third to fifth place. Detroit: Become Human is in sixth place followed by the everlasting Grand Theft Auto 5 in seventh place. Call of Duty: WW2 and PlayStation VR Worlds rounded out the remaining top ten for the week.